According to SIGMA, their two High Speed Zoom lenses feature outstanding optical design carried over from their still photography ART series lenses, which are some of the best in the industry when it comes to colour rendition and sharpness. Innitially the zooms will ship in Sony E and Canon EF Mount with PL versions to follow in early 2017. 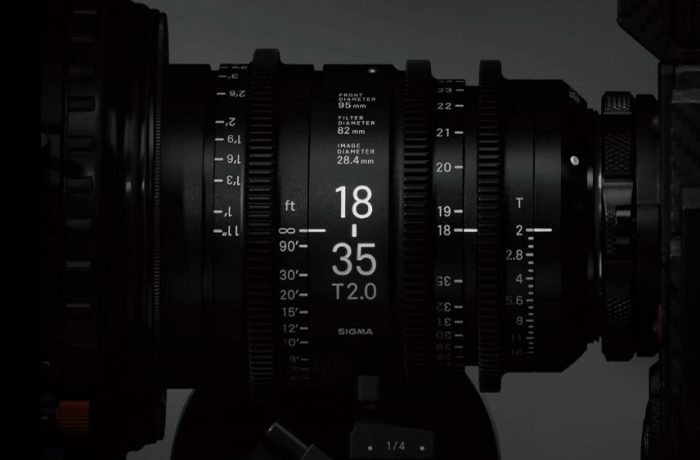 The new 18-35mm T2 and 50-100mm T2 offer 100% new mechanical lens body design, as well as the ability to resolve 6K and even 8K produced by the latest RED Digital Cinema cameras. With their Super 35 sensor coverage, both cine zooms will be perfect on Super 35 cameras like the Sony FS7, Varicam LT and Canon C300 Mark II. The stills counterparts of these zoom lenses have been receiving raving reviews among the photographic community and have also been widely adopted by cinematographers. And now with a proper cine housing, distance scales, focus and aperture mechanical rings, the new High Speed Cine Zooms are bound to find a home in plenty of cinematographers' kit bags and rental houses around the world. We are also eagerly awaiting the UK pricing and availability, and we've been told to expect those to ship in early 2017. Once we learn the pricing and availability we'll post on the blog here both for the high speed cine zooms and also for the Cine Primes.